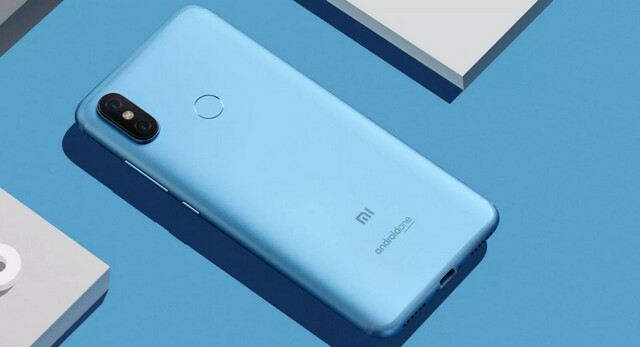 Xiaomi today unveiled the Mi A2, the successor to the Mi A1 smartphone which was lauded for its excellent camera, sleek design and an overall unbeatable combination of affordability and performance. The phone will be launched in India on August 8 and it brings a ton of improvements as compared to the Mi A1. The question many Mi A1 users are asking is whether the new phone is worth upgrading to. Even though it brings some improved hardware, is the Mi A2 a worthy successor to Xiaomi’s first Android One phone? Let’s find out in this comparison and a detailed look at each phone’s hardware and specs. 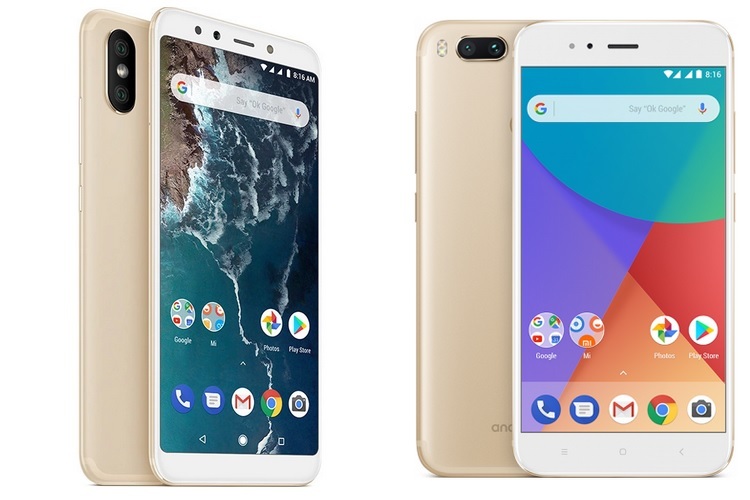 The Mi A1 was widely appreciated for its clean design and sturdy build quality, all thanks to the sleek metal unibody design which provided a great in-hand feel, and that 2.5D curved glass on the front further added to its appearance, however, the thick bezels somewhat reduced its aesthetic appeal. 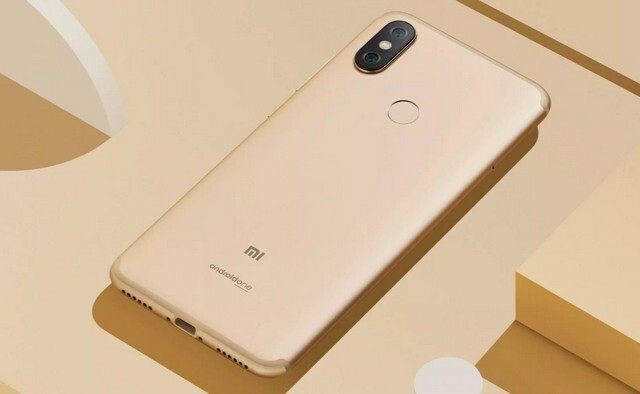 With the Mi A2, Xiaomi has introduced some major design changes, however, the metal build and the svelte appearance are still intact. First of all, the bezels have been considerably slimmed down, thanks to the new 18:9 display on the Mi A2, which features thinner bezels with rounded edges. The thickness of both the devices remains the same, however, the Mi A2 is slightly taller than the Mi A1 to accommodate the larger display. The Mi A1 measures 155.4 x 75.8 x 7.3 mm, while the Mi A2 measures 158.7 x 75.4 x 7.3 mm, and as you can see, there is only a minor change in the overall footprint of both the devices. On the rear side, the positioning of the antenna band remains the same, however, the placement of the camera sensor and the LED flash has changed. 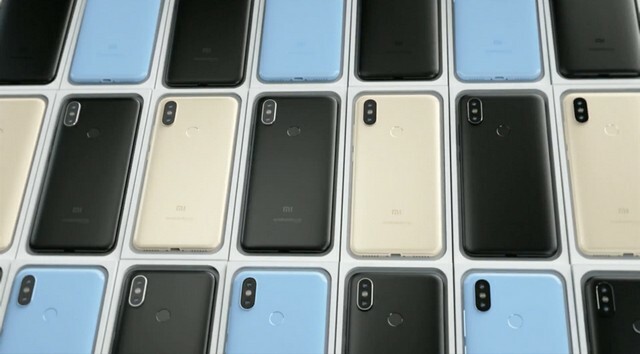 On the Mi A1, the dual rear camera set-up was horizontally aligned with the dual LED flash at the edge, while on the Mi A2, the camera sensors are vertically aligned with the LED flash sitting between the two lenses, much like the iPhone X. Also, there is a soft flash on the front side on the Mi A2 to let users click better quality selfies in low-light conditions. 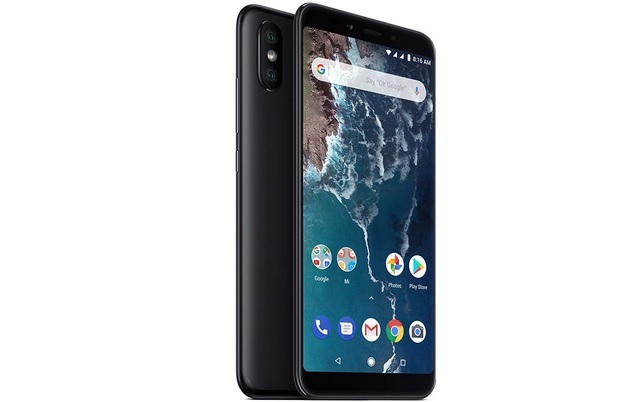 The Mi A1 featured a 5.5-inch Full HD IPS LCD display with Corning Gorilla Glass 3 on top, a 16:9 aspect ratio with a pixel density of around 403 PPI. The Mi A2 packs a bigger 5.99-inch IPS LCD Full HD+ display with an 18:9 aspect ratio, slimmer bezels, and is protected by a layer of Corning Gorilla Glass 5 for protection against accidental drops. Also, the taller 18:9 displays are in vogue these days, but then, it boils down to your own personal taste. The Mi A2 brings a huge upgrade over its predecessor, thanks to the new Qualcomm Snapdragon 660 ticking under the hood which also comes with a dedicated AI engine. The octa-core Snapdragon 660 packed inside the Mi A2 consists of 4 x 2.2 GHz Kryo 260 cores and 4 x 1.8 GHz Kryo 260 cores, with an Adreno 512 GPU to handle graphics. The Mi A1, on the other hand, is powered by the Qualcomm Snapdragon 625 processor consisting of lesser powerful Cortex-A53 cores clocked at 2.0GHz, with a previous generation Adreno 506 GPU to handle the graphics-intensive tasks. While the Snapdragon 660 performs much better than the Snapdragon 625 in benchmark tests, it also brings support for some features which are not available on Snapdragon 625-powered devices such as Bluetooth 5.0, faster connectivity standards (USB 3.1), support for QHD displays and a lot more. Moreover, the Snapdragon 660 also has a dedicated AI Engine, which means it has support for a ton of AI-based features such as AI photography enhancements and a few other functionalities which are yet to come. The Mi A1 featured a 12MP (f/2.2) primary camera and a 12MP (f/2.6) secondary camera on the rear side, and a 5MP (f/2.2) sensor to capture selfies, a combination which proved to be quite capable in this segment. 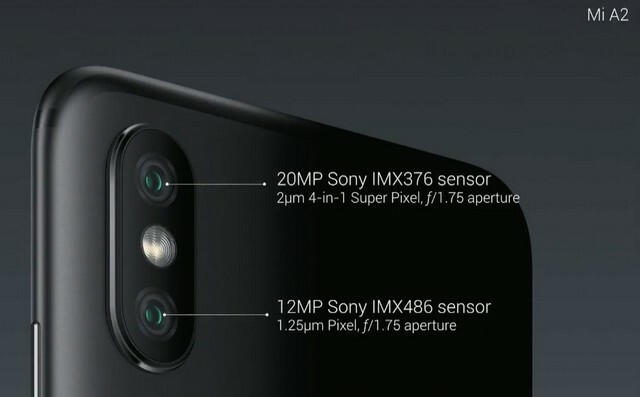 The rear camera set-up was capable of recording videos at 2160p at 30fps and 720p videos at 120fps, while the front camera could capture 1080p videos. In my opinion, the biggest upgrade brought by the Mi A2 over the Mi A1 is in the camera department. The Mi A2 packs an upgraded dual rear camera setup– a primary 20MP (f/1.75) sensor and a secondary 12MP (f/1.75) sensor. This is complemented with phase-detection autofocus (PDAF), smart portrait, and some AI-based features as well as Face Unlock. The rear camera set-up is capable of recording 2160p videos at 30fps, 1080p videos at 30fps and 720p videos at 120fps, and slo-mo video recording is also on the table. There is a 20MP selfie camera accompanied by a soft flash, which is complemented by features such as AI portrait selfies based on advanced AI algorithms, AI bokeh enhancement with selective foreground and background adjustment, front HDR, etc. The Mi A2’s front camera features auto-HDR and is also capable of recording 1080p videos at 30fps. Another area where the Mi A2 reigns supreme over the Mi A1 is the amount of RAM and internal storage. The Mi A1 has 4GB of RAM and 64GB of internal storage which is expandable up to 128GB via a microSD card. The Mi A2, on the other hand, packs up to 6GB of RAM that will definitely improve multi-tasking to a significant extent. Moreover, the amount of internal storage has also been doubled to 128GB. The Mi A2 packs a 3,010mAh battery and supports 18W Quick Charge 3.0 charging via a USB Type-C port, while the Mi A1 had a slightly more capacious 3,080mAh battery. However, there is no 3.5mm headphone jack on the Mi A2. The Mi A2 will be available in around 40 countries, including India, and will go on sale starting July 27th in France through the official Mi website as well as online and retail outlets, and will eventually make it to around 40 countries in the subsequent months. As for the Mi A2’s pricing, the device starts at 249 Euros (app. Rs. 20,000) for the lowest-end variant, which is significantly higher than the Mi A1’s current price point of Rs. 13,999 (app. 173 Euros). However, there is no information regarding the device’s pricing in India. Mi A2 vs Mi A1: Should You Upgrade? The Mi A2 brings a significantly faster processor and a drastically improved camera (at least on paper) and a slightly refined design. If these are your parameters for a worthy upgrade, then you should definitely go for the Mi A2. 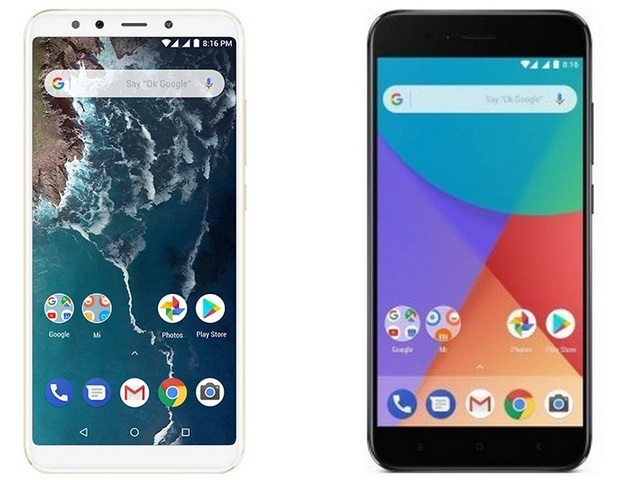 But if the Mi A2’s higher price point gives you pause, it may be wiser to look at something from Nokia’s Android One line-up. Another point of consideration here is the software. The Mi A2 will be among the first devices to receive the Android P update, which means a lot of innovative and useful features will arrive soon on the Mi A2, compared to the Mi A1, which may not even get Android P officially. On one hand is an improved hardware and software experience, and on the other hand, is the value for money quotient – but on aging hardware. Which one matters more to you? Do let us know in the comments section below.